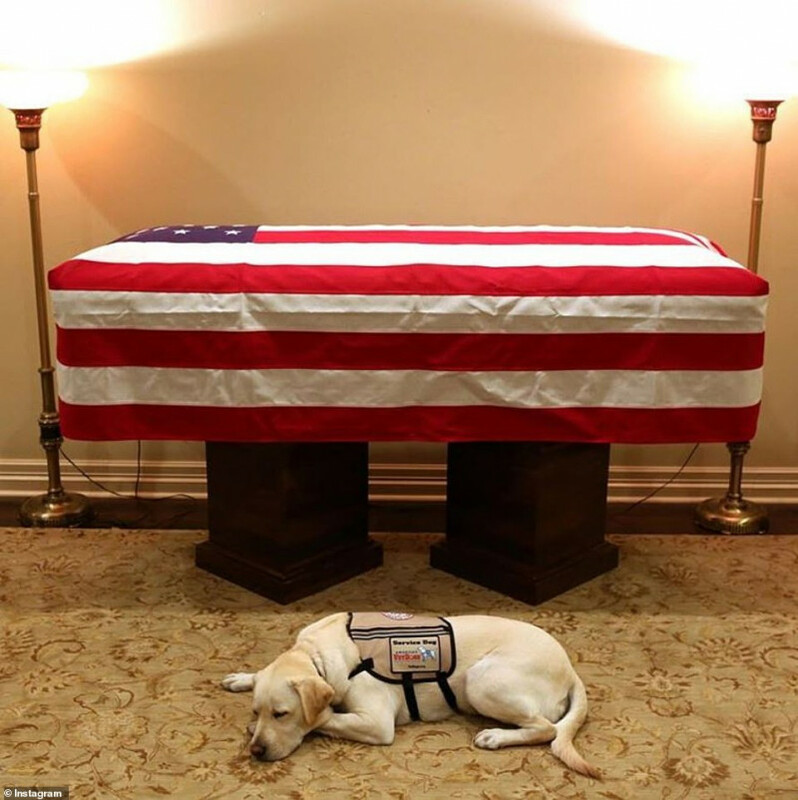 This was posted on Instagram with President Bush's service dog Sully with the caption, "Mission complete." seeing that picture reminds me how much I miss my dog who passed some years ago. It gave a little tug on my heart. thanks! Yes, it proves dogs "feel"like we do. Typhoon There’s a good chance my dog would starve herself to death if I were to pass. I used to leave for business, be gone 4 or more days, she wouldn’t eat until I came home. I don’t know what would happen if I didn’t. Dogs can be loyal to a fault. In the feelings department I think dogs are better than most people. Most people don't know or understand how many animals actually think and feel. They really do have thoughts and feelings. Dogs do, almost to a fault. There's a reason they're called man's best friend. There will never be a clearer picture of such devotion. candukid Mine has gone as many as 4 nights, I came back on the 5th day, she hadn’t eaten yet. She’s not the brightest bulb, I’m not sure how long it would take, or if she would actually starve herself. I heard this service dog will go back to work as a service dog for someone else in need. Yes he's going to work for another serviceman in need. Dogs mourn the loss of another dog too. I remember my first 2 huskies Dakota and Simba. When Dakota passed, Simba used to have a seizure on the day of Dakotas death for the next 2 years. The doctor even didn't seem surprised by it. He had one exactly at a month, then every year. Never had a seizure other than then. Vet said they know...they stress. With my youngest off to Japan my big concern was the dogs stressing out. He was around the house with them ALL the time. We've been trying not to seem stressed just so they wouldn't pick up on it. therod Yes he's going to work for another serviceman in need. That is wonderful, but I believe looking at the picture that Sully knows what has happened and his little heart misses his bud. Sully will be fine and so great that he provided such great companionship for 41 since the passing of Barbara. He is going to Walter Reed hospital in the Facilities Dog Program; providing therapy to wounded soldiers and active duty personnel.